The Farmall® C, Case IH’s newest mid-size tractor, reliably and cost-effectively delivers the power and performance Australian farmers expect, with a superior interior environment. The well known Farmall name represents a powerhouse that meets the demand for rugged equipment that gets those day-to-day jobs done – from the feedlot to the pasture – while being comfortable and easy-to-operate. ​“The new Farmall C tractors are your powerful, tough, versatile and comfortable companions ready to handle any chore." Tough at heart with updated clean-diesel technology, the new Farmall C models use Case IH FPT Industrial 4-cylinder 3.4-L turbocharged and intercooled engines. Precise electronic fuel metering and electronic high-pressure fuel injection improves efficiency, extends engine life and improves cold-engine starting. Most importantly, it provides efficient power. “This unique fuel injection system provides greater fuel savings, even with higher horsepower levels,” says Peter. The newly designed Farmall cab goes a step above the rest to make the operator’s day better and more productive, with user-friendly features such as a power clutch for easy shifting, and advanced internal control ergonomics that include easy-to-read instrument data within the steering column and more accessible remote valves. It also offers unmatched loader visibility, thanks to the standard high-visitiliby roof panel, and the new climate control system revolutionises in-cab comfort with 10 adjustable vents providing superior control during long days that are hot, cold or dusty. Owners can configure their Farmall according to their unique needs, with a choice of Vision Lift or Prime Lift loaders, and the option of ROPS or cab configuration. It’s a reliable, cost-effective utility tractor that can get it all done. 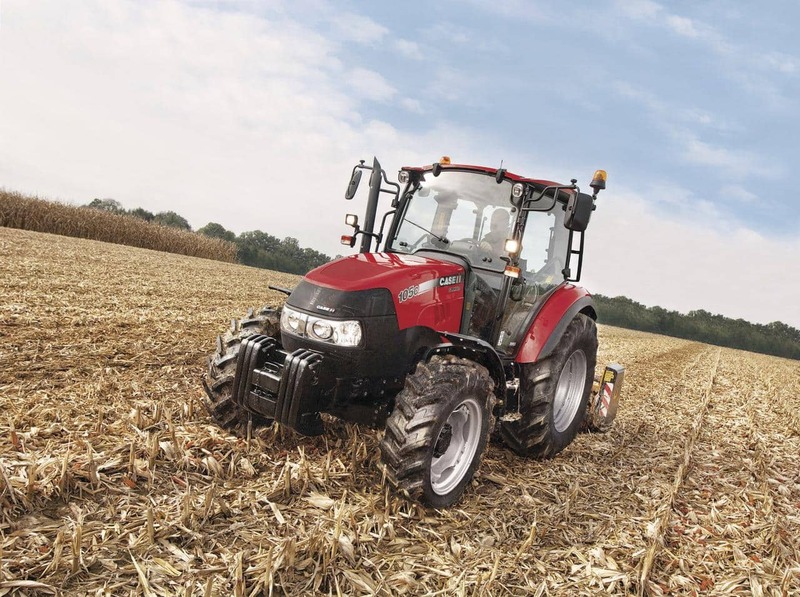 Additionally, complementing the Farmall 95C, 105C and the 115C, a Farmall 75C is available, offering all the features customers have come to expect from Case IH’s Farmall range whilst being designed for lighter operations.